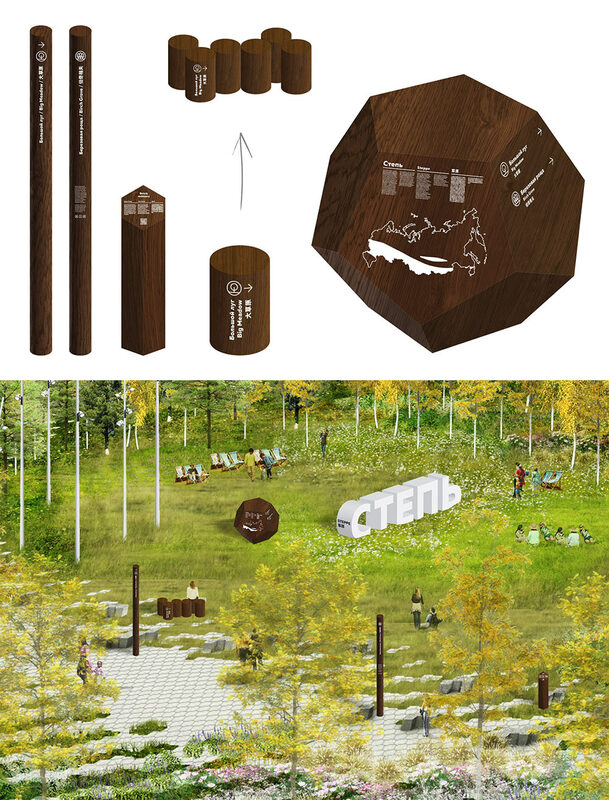 Receiving the task: to develop a navigation concept for a park that will combine several of Russia’s natural zones: forest, steppe, tundra and others. 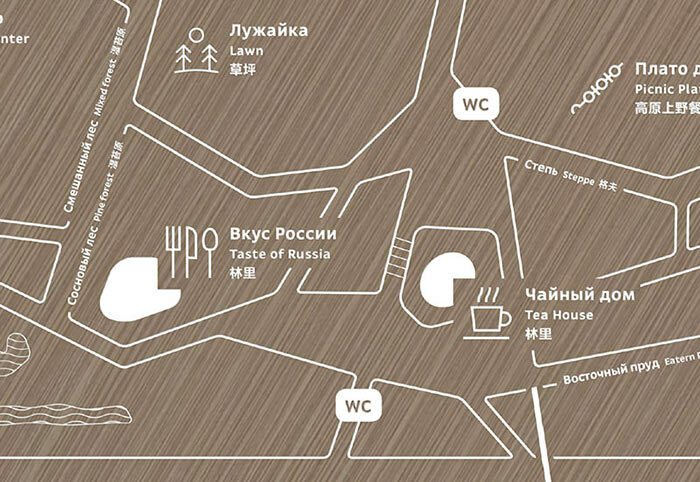 The navigation should not go against the park image, it has to blend in organically yet remain legible. Getting acquainted with the project. 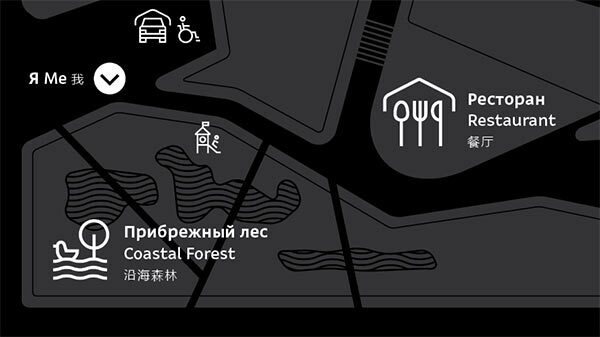 Coming to realize that in such an unusual park elements of the navigation system can easily become art objects in their own right and provide useful information about Russian nature to foreign visitors. 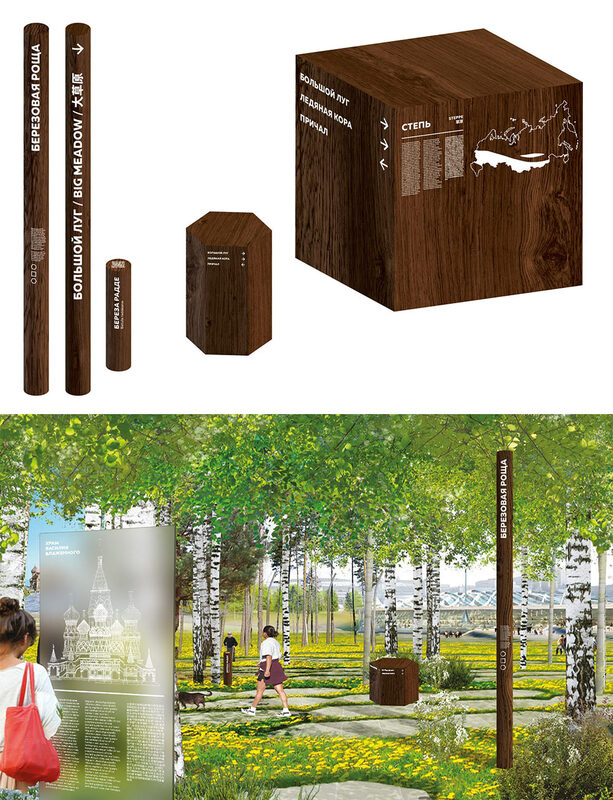 Designer: Small columns (2) have information about plants (maybe with a QR code for more detailed information), larger columns (1) point to the nearest objects (plus, visitors can sit on them). 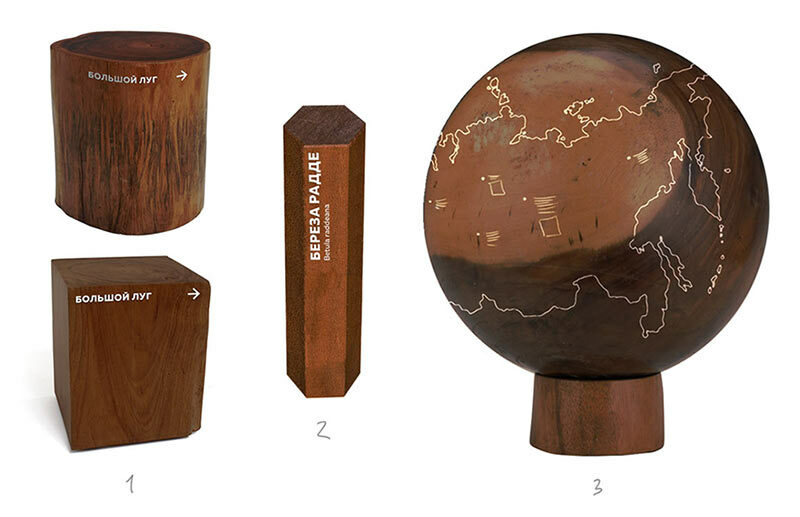 Each natural zone has large objects with a map (or a globe?) of Russia containing information about regions and cities in that zone, their nature, traditions, cuisine, economic development, etc. 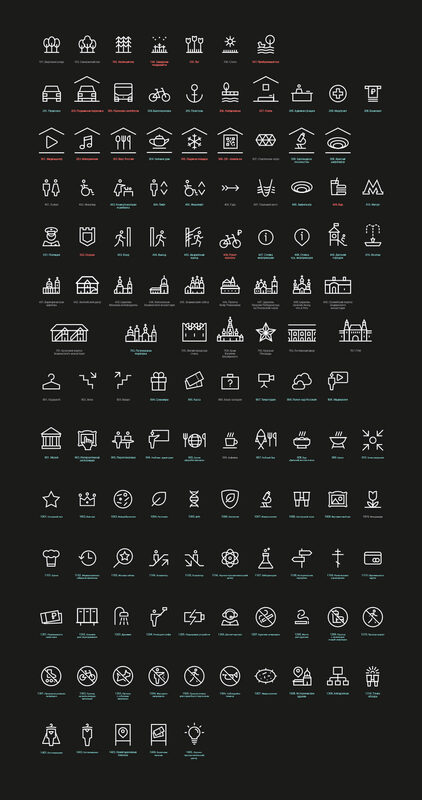 The largest signs exist as individual words such as names of natural zones or main buildings. Art director: I like the simple shapes protruding from the ground. 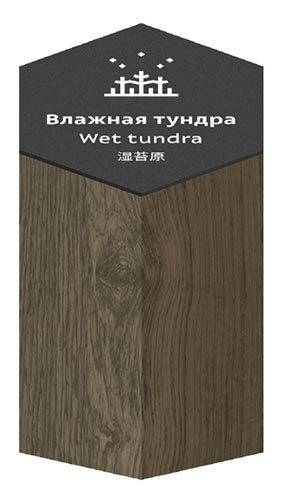 Try them in different materials, wood, steel, concrete (stone), glass. 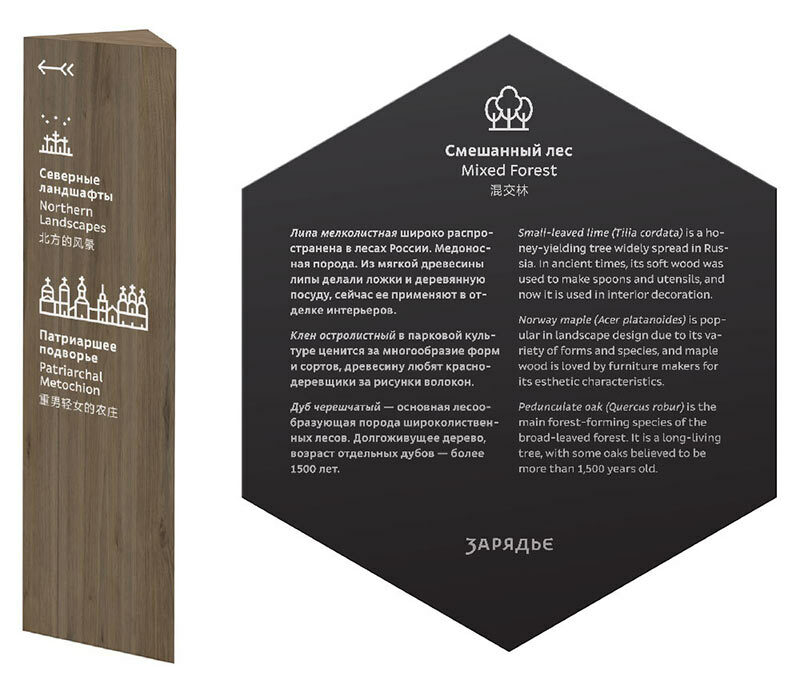 Designer: Stone objects resemble tombstones) As for wood and glass, we can use them for different functions: wood for navigation inside the park, glass for pointing to interesting locations outside of the park (monuments, museums, etc.). 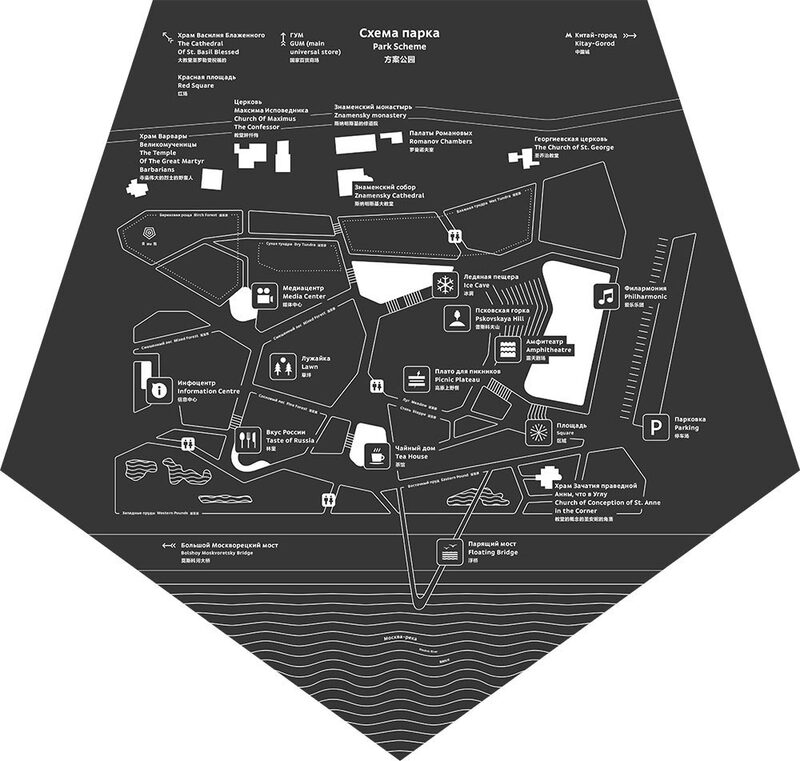 Right now we have the following: columns to contain directions and point to specific objects, short columns for information about plants, pedestals and benches of various shapes for directions and the largest objects for information about a natural zone with interesting details and a map. 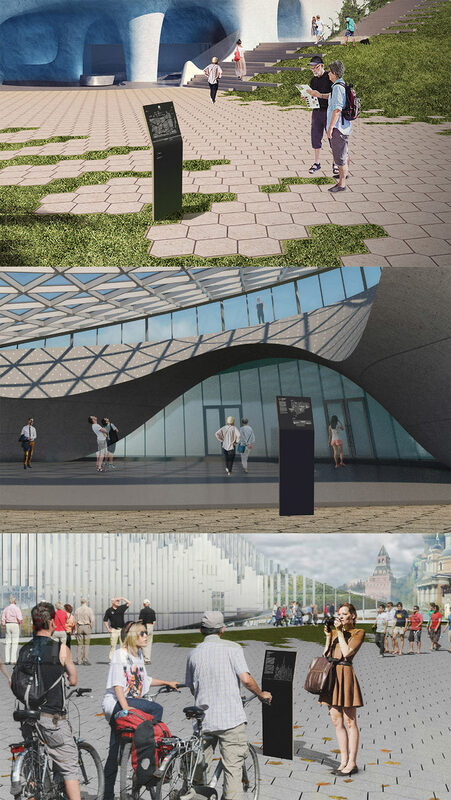 Working on the shape of the objects: pedestals with directions turn into triangular columns for intersections, the main pylon with information about a natural zone becomes a dodecahedron, information about plants gets relocated to the oblique sections of small hexagonal (rhyming with the park’s paving) columns. Sharing the ideas with the client. The client approves the direction. Now we need to consider the technical details more closely: backlight, ways to apply images to surfaces, etc. We start by brining all media to one common denominator: columns and benches also become faceted. Thinking about application technologies and backlight: polyester resin inlay with internal illumination or a laser-engraved acrylic plate with end illumination. Inlay is preferable, of course. Putting together a presentation of the concept and sending to the client. 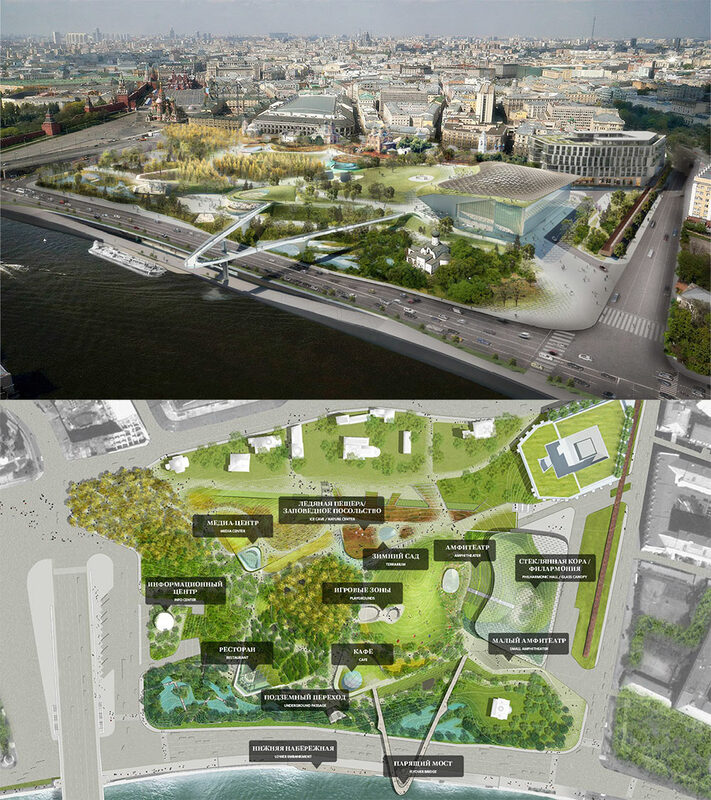 The client approves the concept, now it’s time to demonstrate it to the creators of the park. 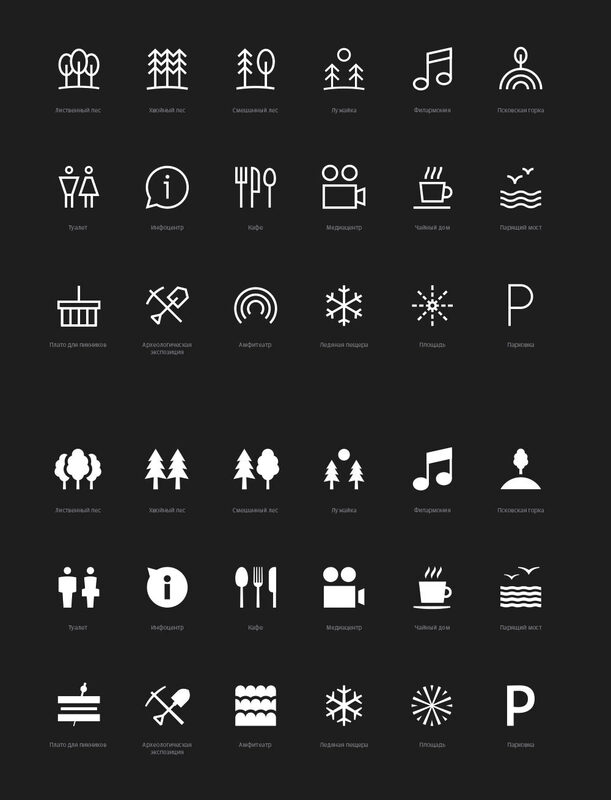 Deciding to go with minimalist linear icons resembling symbols on topographic maps. Trying the style on other icons. 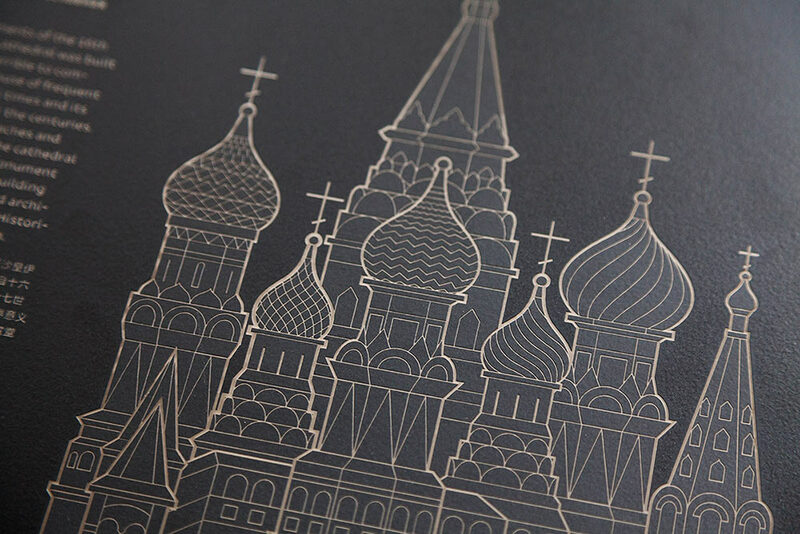 The style successfully handles the level of detail required for architectural monuments. 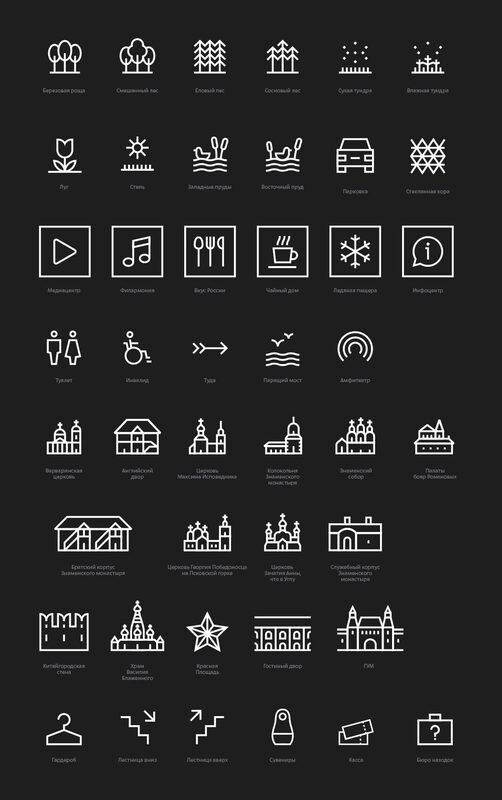 Sending the icons to the illustrator to prepare the complete set. 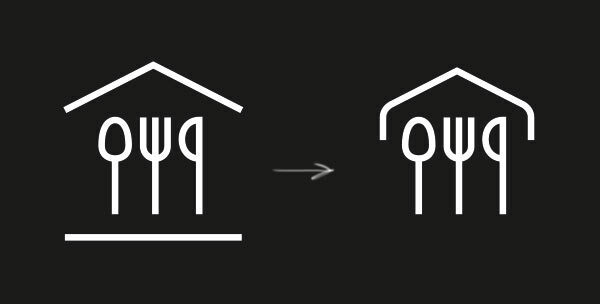 Fixing the pavilion pictogram so it can’t be confused with an arrow. Making an attempt to create the map keeping in mind the original idea to distinguish natural zones with patterns. Mandatory captions in three languages make the task more difficult. 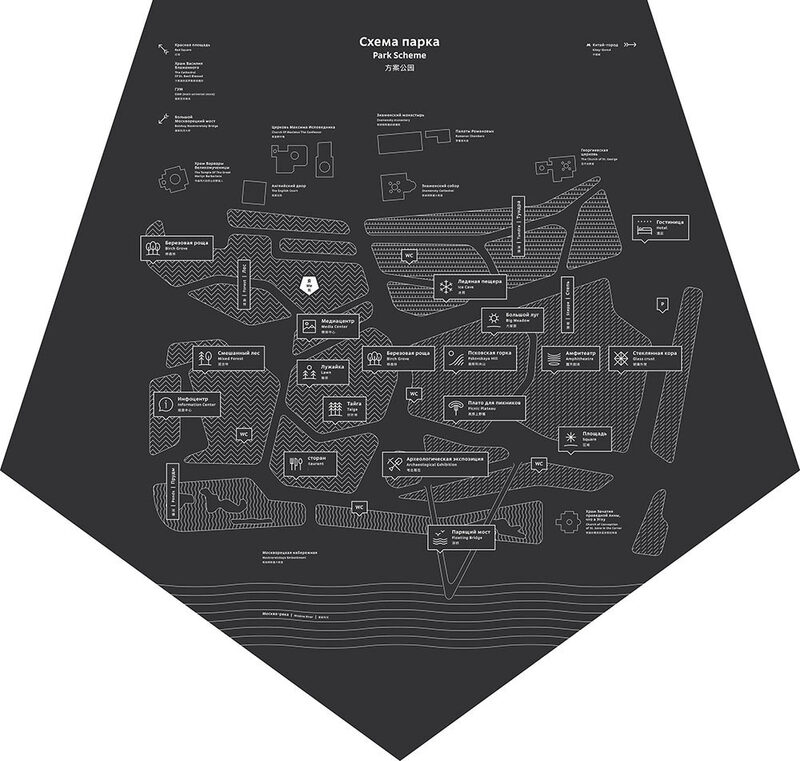 The patterns cover the map too evenly, they do not make individual zones stand out but instead conceal them. Trying to apply the patterns locally, showing individual buildings. No, still too much noise. Dropping the patterns altogether, making the graphics simpler in order to assemble the park’s outline. Inscribing the names of the zones in their boundaries. 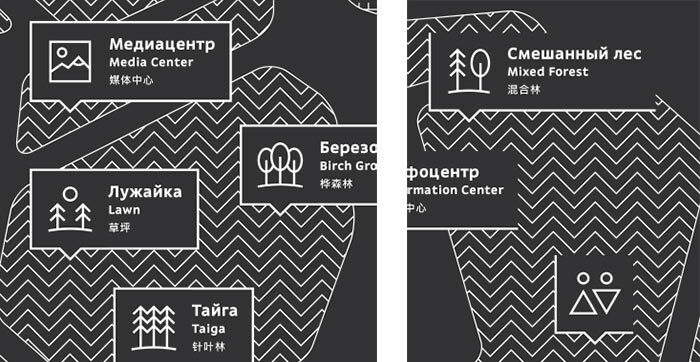 Making the text on columns at intersections smaller, the hints should be readable but not too conspicuous. Abandoning internal backlight for this type of media. 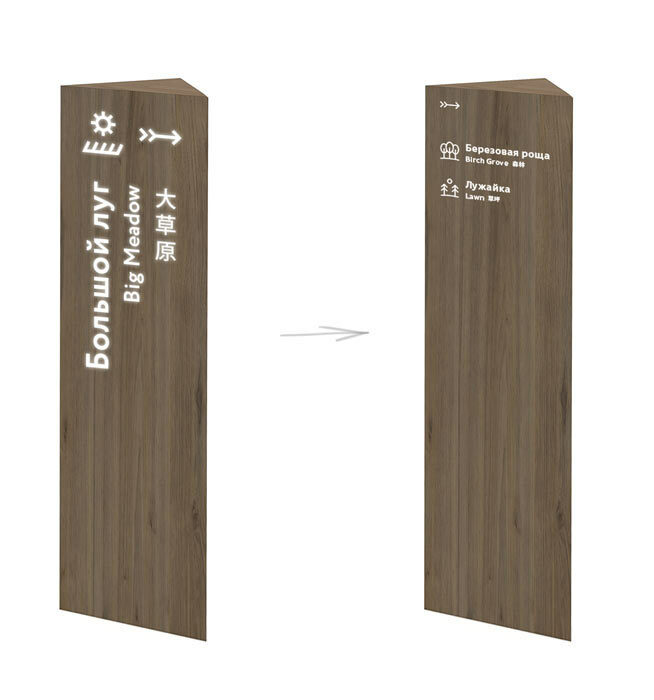 The wooden columns become shorter and acquire a metal face plate to make adding and changing information easier. 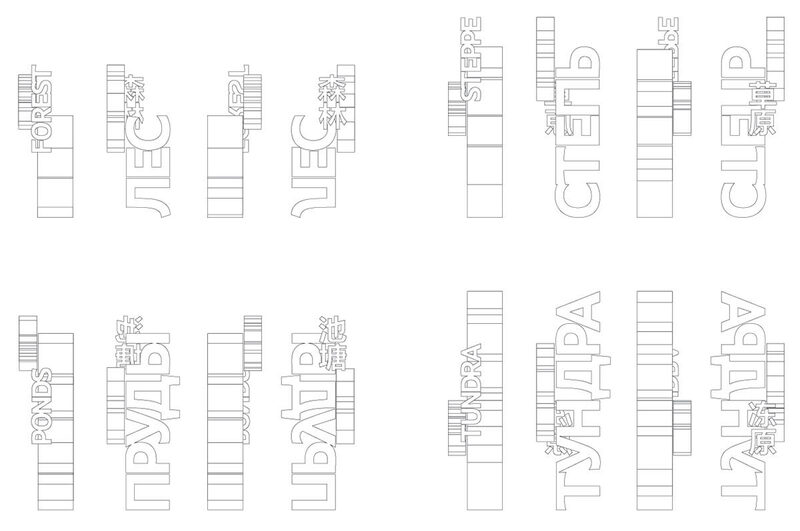 Assembling the volumetric names of natural zones into asymmetric totems. Preparing a big presentation for the park’s creators. 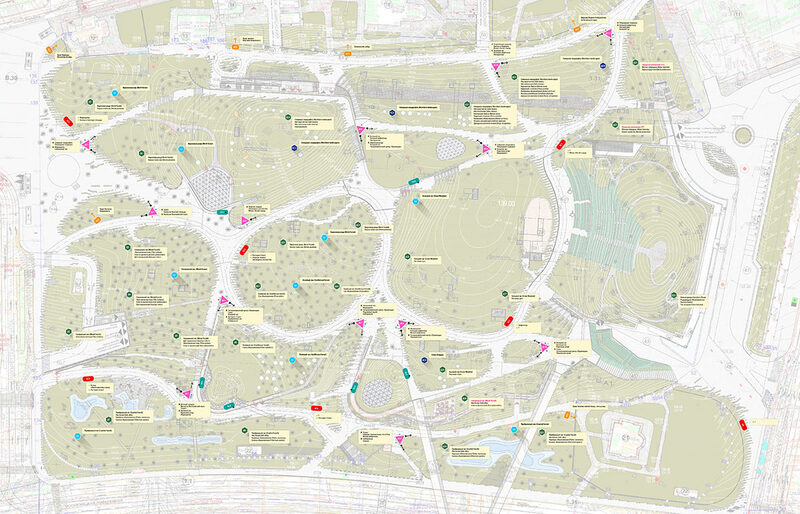 The architects feel strongly about reducing the number of different media types and their dimensions: the park’s visitors should “get lost” in the park. Discarding the volumetric words entirely and deciding to rework the information pylons into a more compact and restrained form. 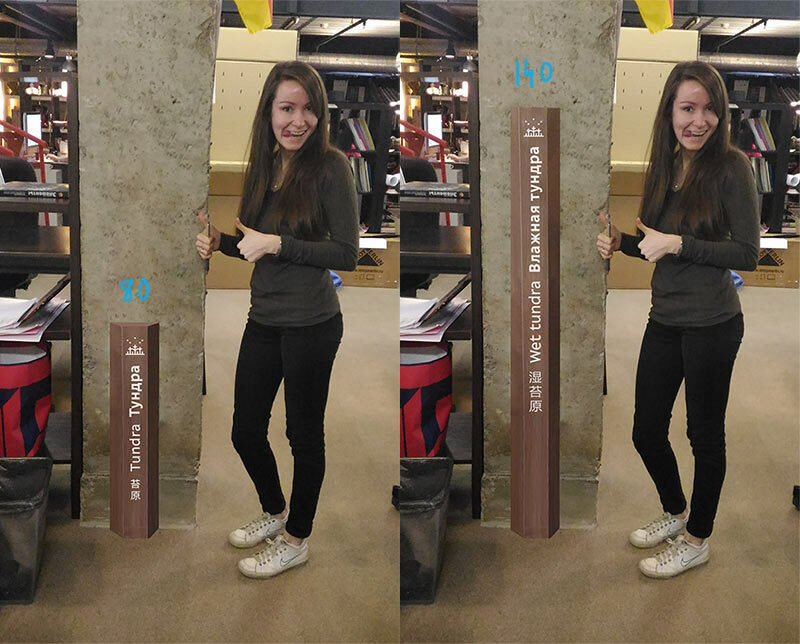 The tall location markers are still open to discussion. Suggesting to vary their height based on the surrounding vegetation. 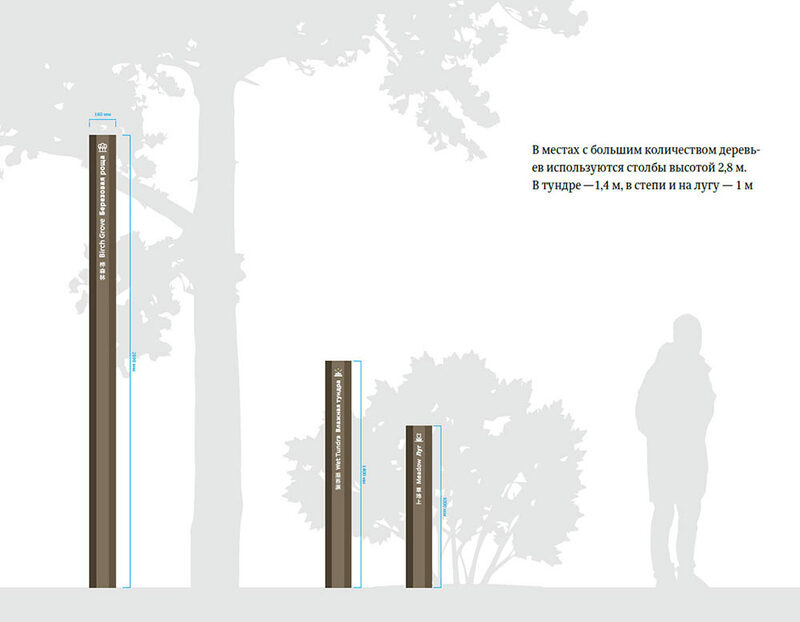 The client asks to create an analog of the dendrological columns for zones with no trees. 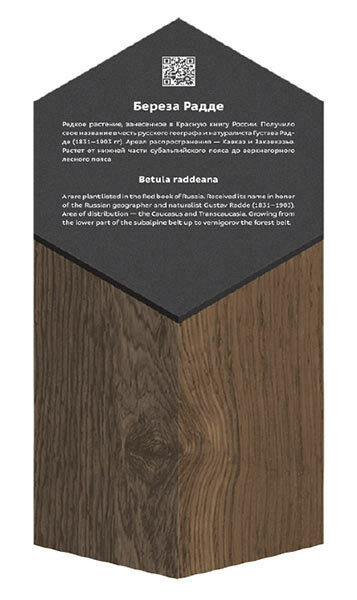 Instead of pylons and glass steles we suggest to use composite columns made of solid oak with a metal front plate. 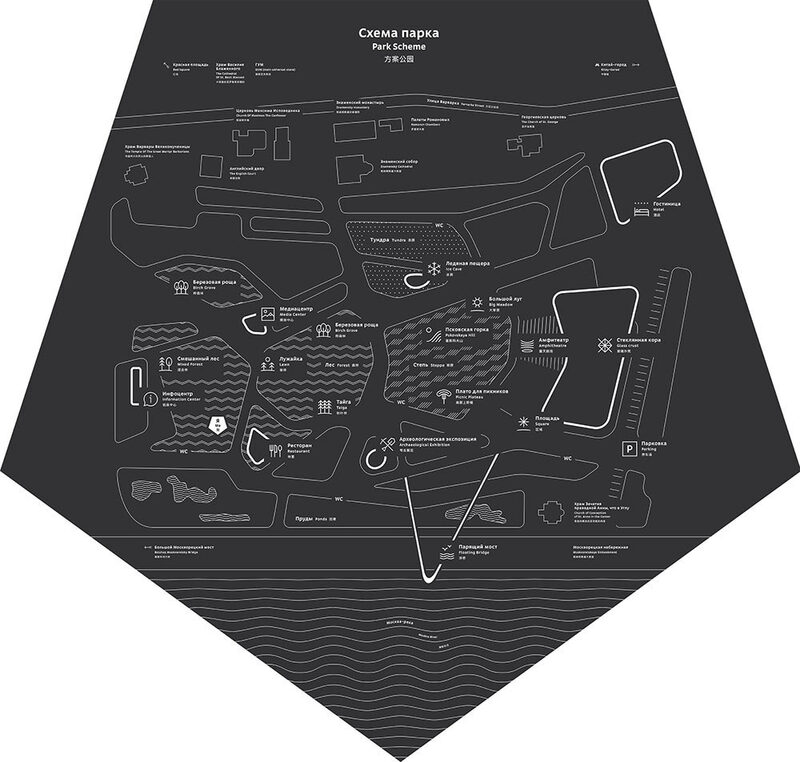 The plate will contain the park’s map, pavilion floor plans and information about the major architectural monuments. 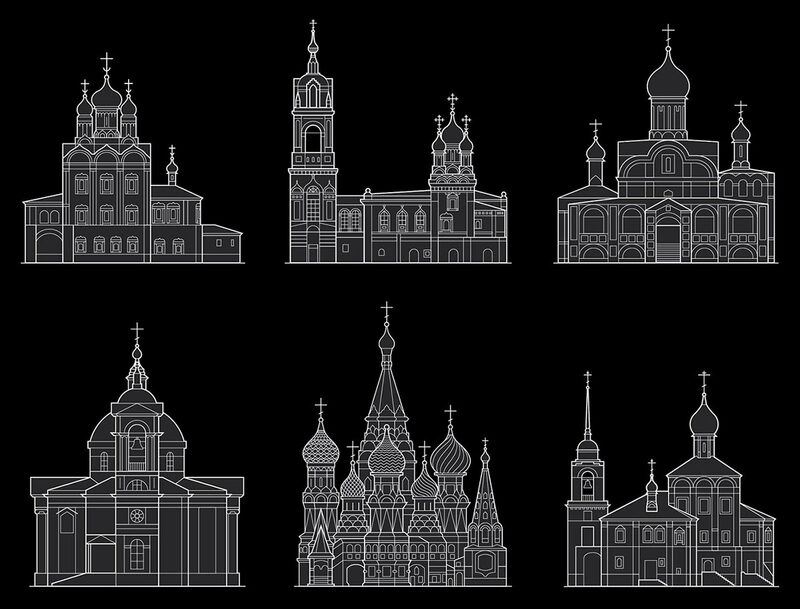 Asking the illustrator to help with images of key architectural monuments. 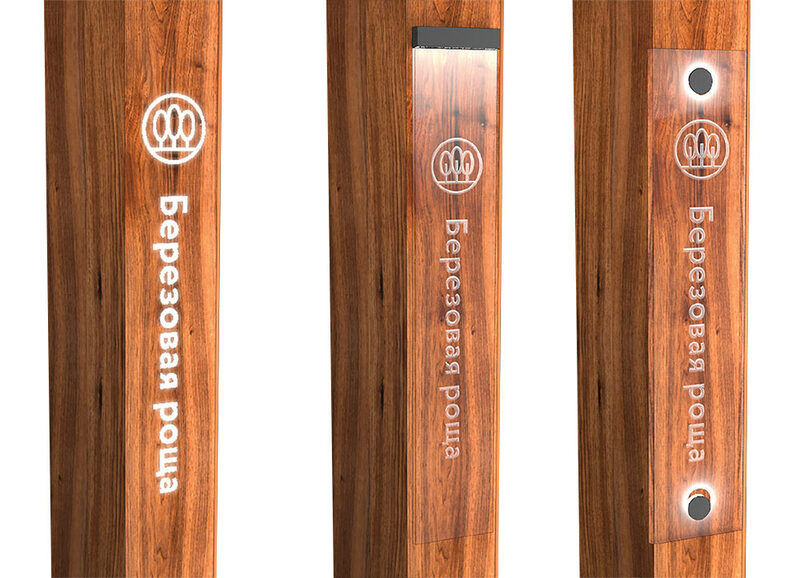 Using two-level laser engraving on steles which helps to separate the architecture from the background and the icons and captions from the map. We need to show both the outdoor and indoor locations. 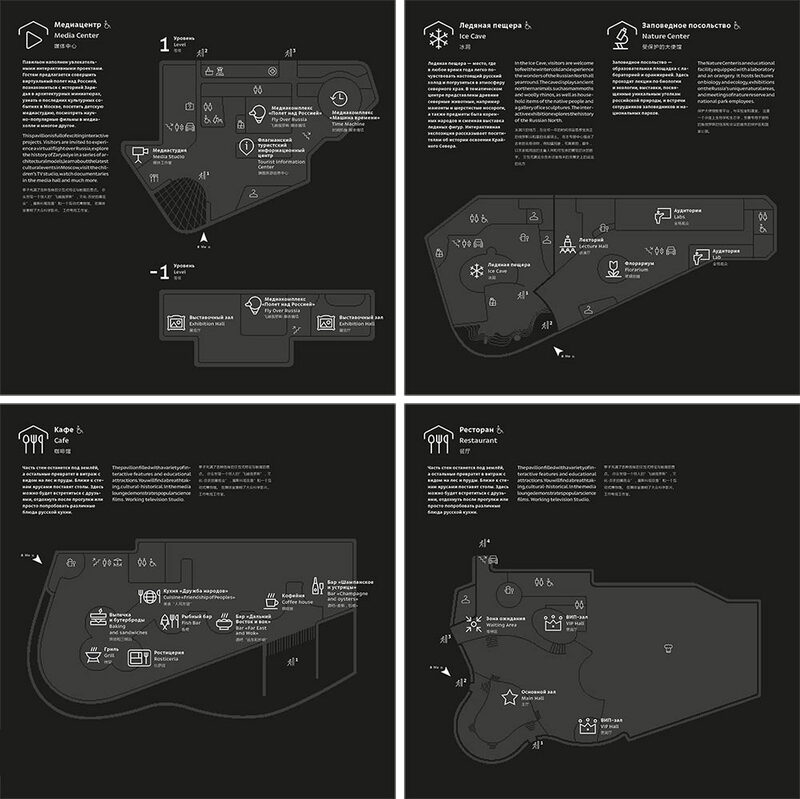 Drawing floor plans of the main pavilions. Making the layout of dendrological columns and columns with directions more dense. Going over the layout many times over, taking into account the comments of architects, builders, dendrologists and other involved stakeholders. Finally the entire media range is approved. Receiving the final names of all objects, translating them into English, preparing mock-ups for production along with the guide.